As a leader or facilitator, you experience moments when you need to bring team members together, clarify their goals, figure out their motivations and help them to be more aligned and productive. Use Team Canvas to start a structured conversation with the team and bring everyone on the same page. Groups that go through Team Canvas sessions report higher clarity and alignment, with less friction and conflict. In the long run, use Team Canvas to start shaping the team culture at your company or collective. There are a few ways you could use Team Canvas during a meeting: either facilitate it offline with the whole team, or use one of online collaboration tools to do it. 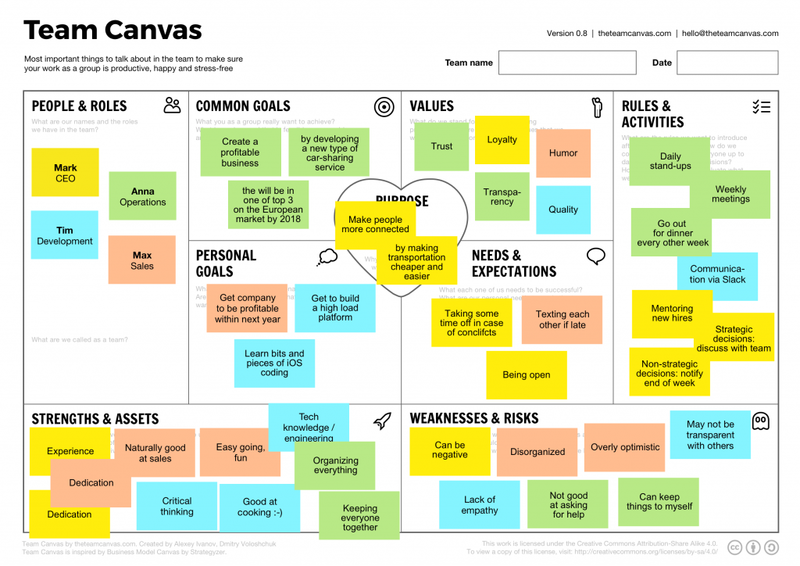 You can also sign up for our online training to learn how to facilitate Team Canvas sessions. 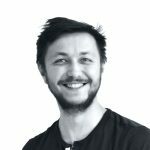 Alex is a strategic designer, prototyper and facilitator with 8 years experience in digital and service design. Alex is IDEO alum and Hyper Island graduate. He helped to launch 50+ websites, mobile apps and ad campaigns in various teams, building hands-on knowledge of group development.